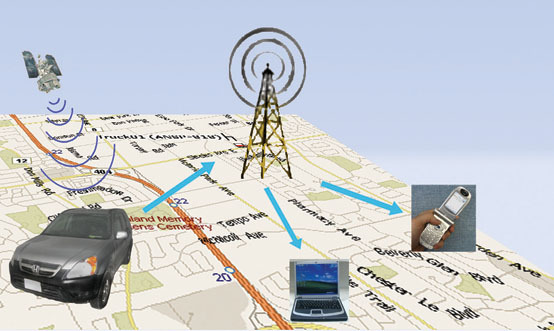 · GSM/GPRS Based Security System. · All operations are passwords Protected. · Incase of security Breach, System informs you on given 3 Phone Numbers. · Watchdogs are installed on doors. · Engine, Power, Battery, (Trunk, Bonnet) Optional. · Lock or, unlock doors. · Turn on or off security siren. · Battery Tempering (Security Active). · Checking of car Security Status. · Monitoring of sound inside the car. · Device can be used as car Phone. · Customize as per requirement. Vehicles, Generators, Machines, Communication, Main Gates, Cameras with GSM Automation system or any Auto Operation of your Choice. GSM/GPRS based satellite security system that can be operated with the fastest response through out the World, with the help supporting networks. So, you are now absolutely secure and well informed right in time about your assets where you are in the world.